F&D launched their first ever party speakers in India – the Party BOOSTER W40. It is a portable Bluetooth speaker with an output of 40W. Being a portable speaker it has a compact form factor. According to the company the speaker has excellent bass and built-in lights, which would look like a party speaker and has DJ sound effects when turned on, hence the name. “We are excited to launch the range of Party Speakers, which are designed and developed exclusively for the millennials. The Speakers can ignite party atmosphere with DJ sound effects, anytime anywhere. With the exclusive F&D sound quality, one shall see the difference in why this is the ideal party pick,” Mukesh Bansal, Director F&D said. The speaker has a 2.5-inch full range driver that according to the company gives good bass at low frequencies. It comes with TWS technology, which allows the user to connect two speakers of same kind together to give that ‘club-like’ stereo sound experience. The front panel of the speaker has RGB LED lighting that changes according to the music. 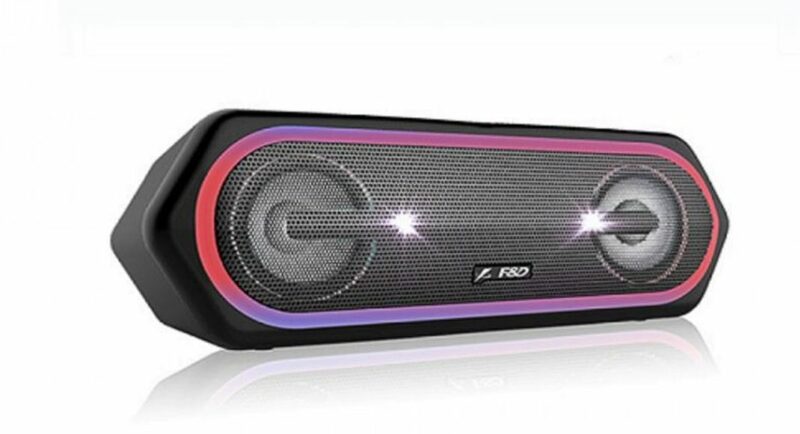 F&D Party BOOSTER W40 Bluetooth speaker has a 1,800mAh battery that the company assures will give a long playback time. But they didn’t mention the exact or overall time till which it would give the ‘millennials’ the party atmosphere. It also does come with a microSD card slot so the user can insert the memory card directly in to the speaker and play the music stored in the card. So, they won’t have to connect their phones or laptops to the speaker via Bluetooth. It also has the TF and Aux connectivity option so it can be connected with an Aux cable to either phone or laptops. It has Play and Pause buttons to control the music and it also comes with a built-in FM radio. The company has priced the F&D Party BOOSTER W40 Bluetooth speaker at Rs 12,990 and it is available in online as well as offline markets. There are two colour options for the WP 400 to choose from – grey and black. Despite it being aimed for millennials and the younger audience, they might find stiff competition in the market. There are many contestants in the BT speaker arena, which might prove to be a challenge for F&D.